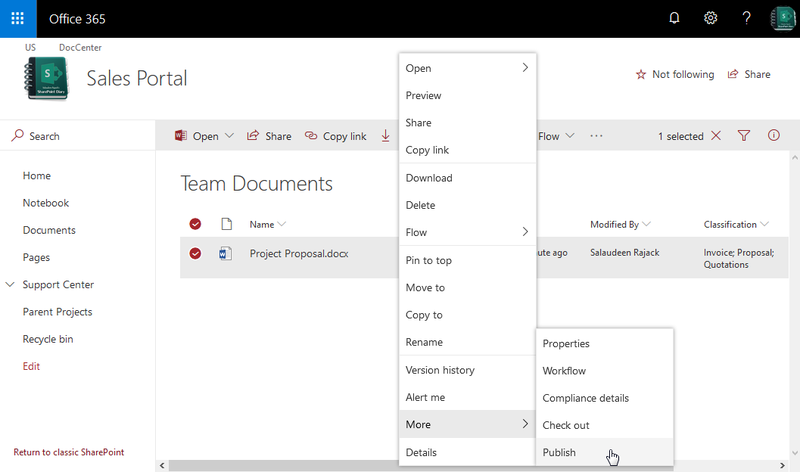 How to Publish a File in SharePoint Online? Navigate to the document library where your file is located. Right click on the document to publish >> In the context menu, choose More >> and then click on Publish. Enter a comment in the Comments box and click on OK. It publishes a major version and file can be viewed by others now! Write-Host -f Green $File.Name "has been published successfully!"